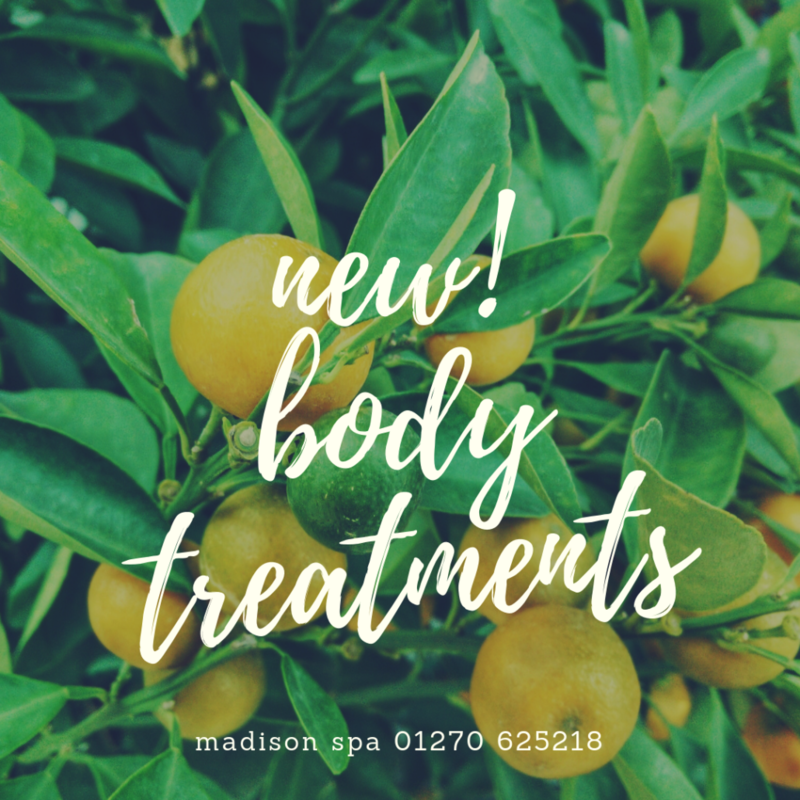 Introducing our new Signature Body Treatments! A full body exfoliation using an organic gel sand scrub. Leaves the skin feeling soft and looking radiant. A relaxing but energising treatment for the back and legs. Full body scrub, full body massage, clay mask infused with ginger, warm body wrap with scalp massage. Cleansing, moisturising and renewing radiance. https://madisonspa-renewclinic.co.uk/wp-content/uploads/2019/03/new-body-treatments-march-2019.png 1080 1080 Kareema https://madisonspa-renewclinic.co.uk/wp-content/uploads/2018/03/logo-02.png Kareema2019-03-26 12:56:182019-03-26 12:56:18Introducing New Body Treatments!